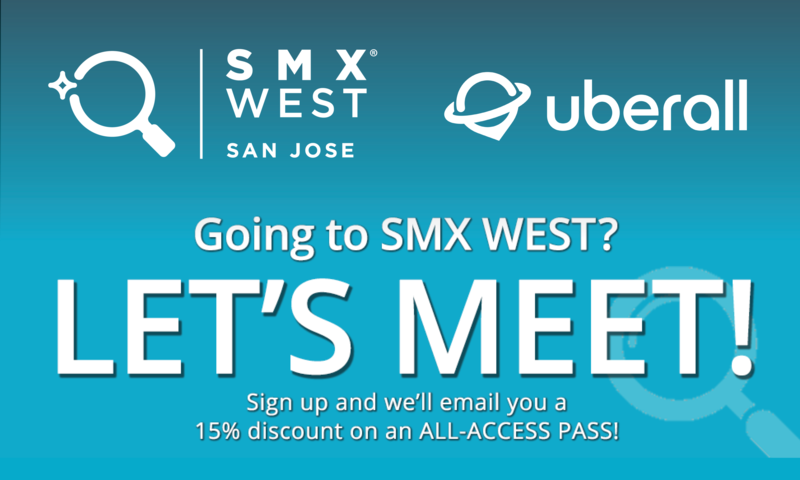 SMX West 2019 is our first event of the year, and we're excited to be a speaker and a sponsor. You do not want to miss Brendan King, Co-Founder and CEO of Vendasta and Tehsin Daya, Uberall's VP of Business Development North America, as they present Conversational Commerce is Coming. This presentation will take place on January 30 from 5:00pm to 6:00pm. We'll be raffling off a few Amazon Echos at Booth #4, so be sure to stop by and enter your name. Sign up to meet with us before the show, and we'll throw in 15% off your all-access pass.